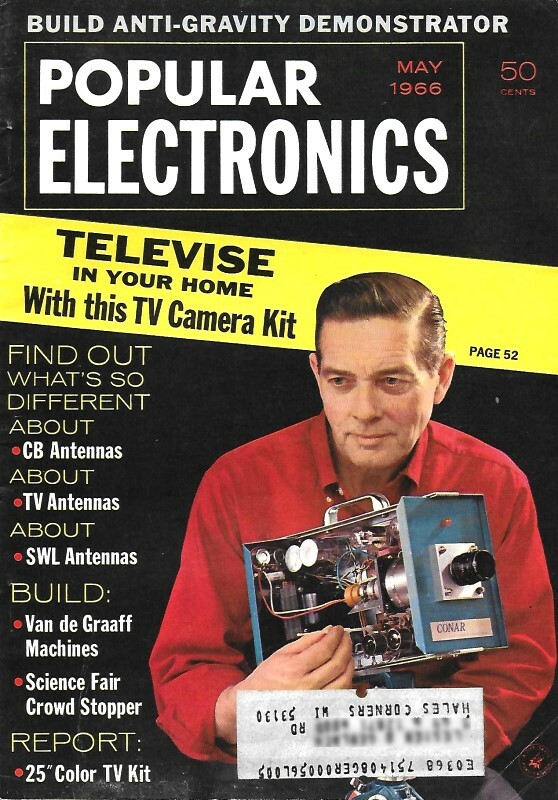 Experimenters often have to connect similar electronic components - resistors, capacitors, coils, etc. - in series to obtain a desired value or effect. This deceptively simple task requires an understanding of the basic operating principles of the components. See how many of these True /·False questions you can answer correctly by first working out each problem. 1. 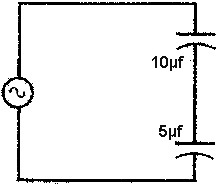 If two capacitors are connected in series across a voltage source, the smaller one will charge up to the larger proportion of the applied voltage. 6. If two voltmeters, each set on the same scale, are in series across a voltage source, the one with the higher ohms/volt rating gives the greater deflection. 2. If two lamps of equal voltage and wattage rating are connected in series across a power source, each will deliver one-half of its rated power. 7. If the filaments of a 6V6 and a 12SQ7 electron tube are wired in series, the tubes will operate satisfactorily when connected across an 18-volt source. 3. If two s.p.s.t. switches are connected in series with a battery and a lamp. the arrangement may be considered the same as an "OR" logic circuit. 8. 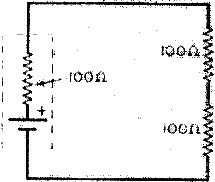 Two 100-ohm resistors placed across a battery having an internal resistance of 100 ohms dissipate twice as much power as one of the external resistors. 4. If a 3-ohm, 2-watt speaker and a 6-ohm, 1-watt speaker are connected in series, the 1-watt speaker will deliver twice as much power as the 2-watt speaker . 9. 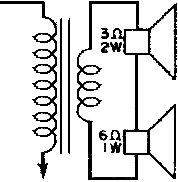 If the two secondary windings of a transformer are in series as shown, the output voltage is the sum of the individual secondary coil voltages. 5. 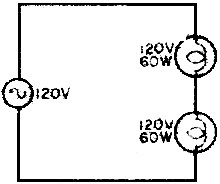 If two dry cells of equal current and voltage rating are connected in series across a load, the current-handling capability of the circuit is increased twofold. 10. If a 500-ohm. 5-watt resistor and a 500-ohm, 10-watt resistor are in series across a 100-volt source, they are considered equal to a 1000-ohm, 15-watter. 1. True. With unequal capacitors in series, the voltage across each capacitor is inversely proportional to its capacitance. This is shown by the formula E = Q/C, where Q, the number of electrons moving in the circuit, is the same for both capacitors. 2. False. Since the lamps have the same resistance, the applied voltage and the current in the circuit will be reduced by a factor of one-half. And, since P = EI, each lamp will operate at one-fourth its rated power. 3. False. 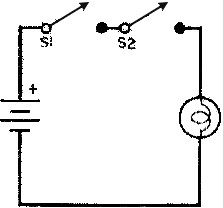 As shown, S1 and S2 must both be closed before the lamp will light, so that the arrangement forms an "AND" circuit. 4. True. Each speaker will receive the same amount of current from the source, and, since P = I2Z, the power developed will be a function of the voice coil impedance, Z. The 6-ohm speaker produces twice the power of the 3-ohm speaker for the same input. 5. False. 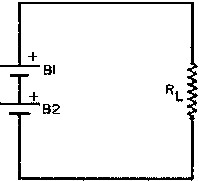 Although the total voltage across the two cells in series equals the sum of the individual cell voltage, like two similar fuses in series, the current-handling capability of the circuit is not altered. 6. True. Voltmeter sensitivity is a product of its ohms/volt rating and the scale setting. On the 5-volt scale, the resistance of the 20,000 ohms/volt meter is 100,000 ohms, while the resistance of the 10,000 ohms/ volt meter is 50,000 ohms. The voltage drop across the 20,000 ohms/volt meter is greater than the drop across the other meter, giving a greater deflection. 7. False. 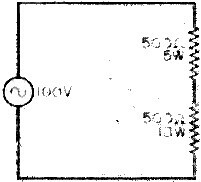 From the tube manual, a 6V6 draws 450 ma, while a 12SQ7 draws only 150 ma. From Ohm's law, the filament resistances are, respectively, 13 ohms and 80 ohms. 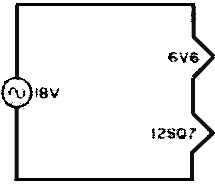 Therefore, the current in the series circuit would be approximately 200 ma., placing 2.6 volts across the 6V6, and more than 15 volts across the 12SQ7. 8. False. Since P = I2R, the reduced current resulting from two resistors instead of one has a greater effect on the power dissipation than does an increase in resistance. 9. True. 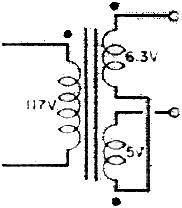 The polarity marks indicate that the secondary voltages are in phase and are series-aiding. Thus, the output voltage is the sum of the two secondary voltages. 10. False. Since a current of 100 ma. 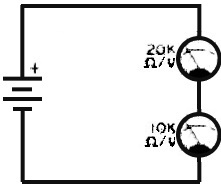 flows in the circuit, the power dissipated by each resistor is 5 watts (P = EI) for a total dissipation of 10 watts. If a 1000-ohm resistor is substituted for the two 500-ohm units, the power dissipation remains at 10 watts (by the same formula).